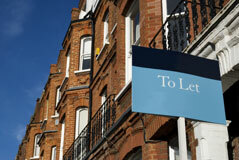 At TenancyAgreement.com, our mission is to provide Landlords and Tenants with a comprehensive one stop shop for information and frequently asked questions about UK tenancy agreements. Further, we want to answer common Landlord and Tenant questions related to or outside of the tenancy agreement. The vast majority of information provided on TenancyAgreement.com has been written by a solicitor and complies with UK tenancy law. A wide selection of document templates available for instant download, as well as document packages. Does your property comply with the Electrical Equipment (Safety) Regulations 1994? Why not bookmark us and follow us on Twitter to stay up to date as we'll be constantly adding content and useful information to the site. If you'd like to see a topic covered on our site contact us! Thank you for visiting.